The curd is a staple food in India. It is a great probiotic which is good for your gut. If you eat curd with every meal, it provides your body with about 20% of your daily Vitamin D portion and also adds 20% your daily calcium value. You should eat curd with every meal of the day as it is loaded with various health and nutritional benefits. The various nutrients loaded in curd are easily absorbed by your digestive system. It is also used along with the spicy foods, as it helps in lowering down and neutralizing the heat that the spicy food creates. Not only this, it also helps in absorbing the nutrients from the food we eat along with curd. A curd is loaded with good bacteria which strengthens your immunity just to fight against many microorganisms which are present in your body. The probiotics in it boost the count of white blood cells that fights with infection. So, you should eat curd with every meal as it improves overall immunity system in your body. Consuming curd with a very meal helps in maintaining a healthy heart. It helps in minimizing the risk if high blood pressure and helps in reducing the cholesterol levels by preventing the thickening of arteries. This in turn, makes your heart healthy. Eating some curd with a meal helps to lower the level of activity in the part of the brain that is responsible for emotions and pain. Therefore, having curd every day is the best way for keeping your head calm and you would feel stress free all the day. Eat curd and stop being stressed to live a healthy lifestyle. 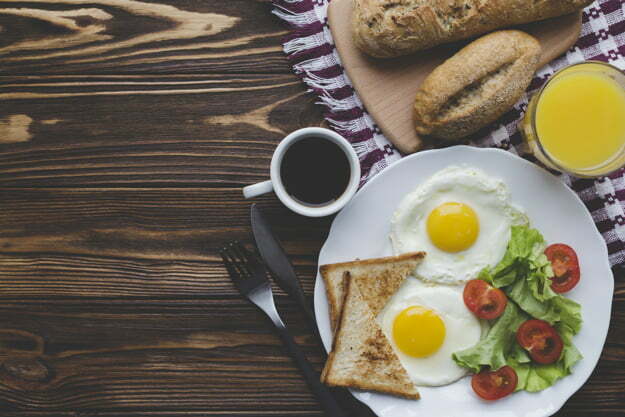 Breakfast is the fuel that keeps you charged for the whole day as being the most important meal of the day. You must pay attention to the food you are eating in your breakfast. The food you eat your breakfast supplies energy your system and keeps you full for the day. It is a big struggle to control your food cravings and satisfy your taste buds at the same time. 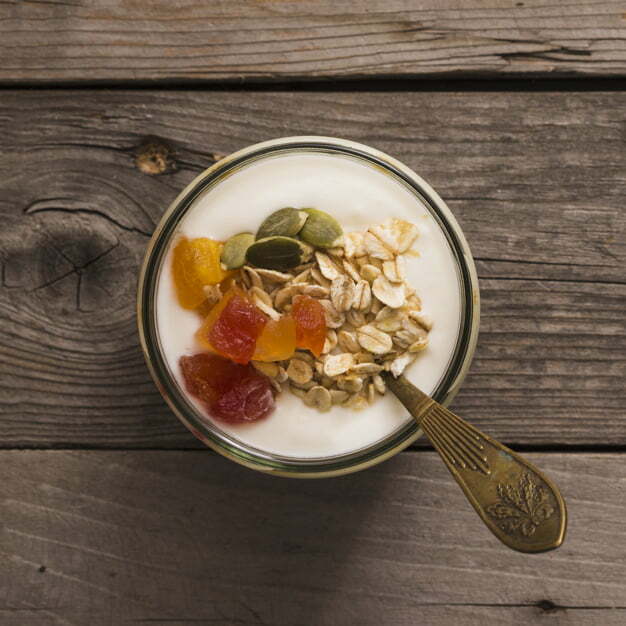 Your breakfast should be healthy enough as it’s the starting meal of the day. However, some foods are very beneficial as well as fulfilling to your stomach through which you can enjoy your breakfast without any guilt. 100g uncooked oats, 100g of Rava, 150g of curd, 100g of chopped capsicum, tomatoes, 2tsp green chili paste, 8tsp of olive oil and salt according to your taste. Mix well the oats, veggies, chili paste, salt into the curd so that the batter can become semi-liquid. Add 1/2tsp of olive oil on a semi-hot pan. Then pour the batter you made into the pan and spread it around just like a dosa. Once the one side of the uthappam gets browned, flip to the other side and roast until it gets golden brown and then enjoy your dish. 1 ½ cup of Poha, 1 ½ cup of boiled sprouts, 1tsp of oil, 1/2cup of chopped onions, 1/2tsp of mustard seeds, 1/2cup of turmeric powder, 1tbsp of lemon juice, 1tbsp of sugar, salt and green chilies according to your taste. You need to do is heat the oil in a non-stick pan and then add mustard seeds. After that add onions and chilies and let them fry till it gets a little brown. Then add sprouts to it and fry for 2-3mins. Add and mix well the turmeric powder, salt, and sugar for a minute. Then pour 1/4cup water and allow it to cook for 1-2mins. At last, add Poha and lemon juice and mix well and let it cook for few mins. Now just enjoy your healthy Poha. 8 egg whites, ¼ chopped red and yellow bell pepper, ½ chopped onion and garlic, a pinch of chili powder and salt, 1/2cup of cooked rice according to your taste, 1 slice of grated cheese. Mix all the egg whites with pepper, chili, salt, onion, and garlic. Then take a cooking pan and add few drops of oil. Now mix the scramble in the pan and add cheese. You want you can sprinkle some cooked rice and serve. The journey started from 58kgs to over 75 kgs of Ishita Singh who has gained 17 kgs within a period of few months. 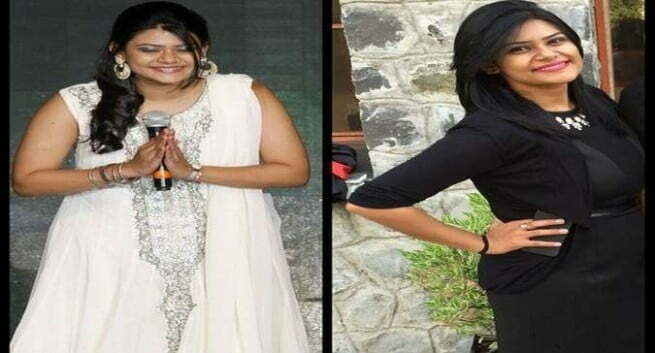 So, here we present the real story- how Ishita Singh got back to 63kgs just with yoga. It’s not the reason that just your genes or by your eating habits which can make you gain your weight. Even being on medications due to many reasons and not exercising also helps you to add extra inches to your waistline. And that’s the thing which was happened with Ishita Singh, she met with an accident which was very serious on 2nd may,2016. She was supposed to spend 32 days in the hospital for many surgeries and after that also she was prescribed for 5 months bed rest. At that time, she was under medications which made her weight to 75 kgs from 58kgs in the next 5 months. Once she was cured of all this, she decided to throw off that extra flesh and went on the weight loss trip. She started her day with 2 full glasses of lukewarm water in she put 2tbsp of methi which she soaked overnight. Just after that she does 1hr yoga followed by 15min meditation. Her breakfast was loaded with sprouts/fruits and lunch consists of a bowl of boiled veggies or any type of dal and fruits. And on some days, she used to have Dal with rice or chapati but it was not done daily. After spending 10hrs at work, she used to have a brisk walk of 45mins daily after coming back to her home. Even on some days, she plays an outdoor game for 45 min. She does not take any snack but would have 4 glasses of lukewarm water daily and have dinner before 8 pm and after 8 she was not required to eat anything as she wants to lose weight. Her dinner comprises of 2 glasses of boiled gourd juice with a bit of salt, black pepper and a pinch of lime. You may feel hungry in starting days but it will work. If you are not able to control the urge to have tea or coffee, then have it but without a pinch of sugar. HOW YOGA WORKED FOR HER? She starts her yoga session with Vrikshasana for about 1-2min and then does various asanas such as Chakrasana, Ardhya Chandrasana and many more of 2 sets of 30 reps each for the right one and for the left of the body. After all these, she used to do Surya Namaskar. In the starting, she used to do only 10 reps, then 20 reps and then soon. But one day it goes 100 reps daily and this was the thing which helps her a lot in throwing off her kilos. Doing all this is not an easy task, you need some motivation also so, she used to put Hanuman Chalisa on loop while doing the yoga sessions as it gave her strength but also helped a lot in finishing her journey. For relaxing she used to do a few mins meditation and chant OM every time she took a deep breath. At last, she lies down with the palm facing upwards and eyes closed for a while. She used to weigh her daily, which always motivates her as she could see results every time. At first, she lost 500gms and then 2kgs in a week, after that 5kgs in a month the most surprising thing it was. But keep in mind you don’t have to lose hope as it will work slowly and gradually and just remember to be focused on inches not only weight. She not only just lost her weight, yoga gave her strength emotionally and physically also. So, never say tomorrow, it’s always TODAY as tomorrow never ever comes. Coconut is the most commonly available fruit that is easily accessible to all the people. Coconut water is not nuts; they are, the fruit of a tall palm COCOS with large, spreading fronds. It is as clean and pure a drink coconut water as you can get. This coconut water are neither loaded with any artificial preservatives nor does it require any additives. Most people who get fresh to drink coconut waterfall in love with it. Although, mild in taste, it satisfies thirst and refreshes the body. Do you drink coconut water? If you don’t, then you might want to start today because there are many wonderful benefits of drinking coconut water. 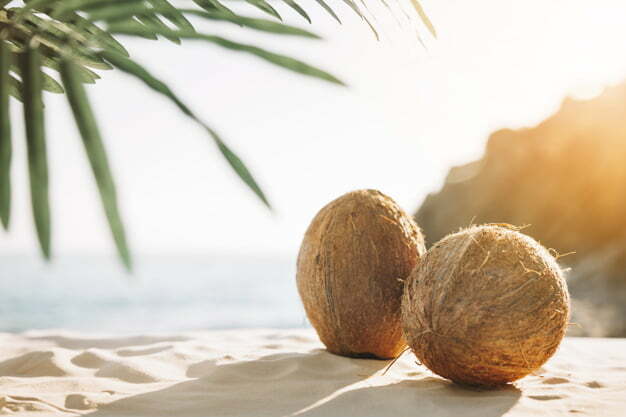 Coconut water is high in potassium, and such a great electrolyte replacement, it has even been used for IV hydration in certain emergency situations. It also helps in lowering the carbs as compared to the other sports drinks you take. It is only 4.5% loaded with carbs whereas the other sport drinks contains 6–8% carbohydrates. It is the best drink for athletes who are trying out to find their sugar intake and also hydrates them after so faster. Those who are a casual exercisers, this coconut water is the best low sugar hydration drink after your workout session. A lot of water is lost as a result of profuse sweating during workouts it’s good to drink coconut water after workout. Every tissue and organ of the body requires minimum level of hydration for their proper functioning. It can restore fluid volume quickly in the blood and in the tissues because of its interstitial fluid and blood plasma. Yes coconut water helps in weight loss of you drink coconut water everyday.You can slog away at the gym for hours and still be fat if your diet is not right. It also helps you out in reducing your food cravings and keeping you full for long period, so you will consume less calorie whole day therefore, drink coconut water everyday. If your diet is loaded with more potassium, then it acts as a diuretic, which helps the kidneys to remove out the excess water, thus lowering your blood pressure. The element of potassium is not only the blood pressure lowering substance in the coconut water. This is also loaded with arginine which is required in relaxing the blood vessels and improving blood circulation in your body. If you get hangover after a night party of heavy drinking, this is due to alcohol dehydrates your body and put up a lot of load on your liver which eliminates the accumulation of toxic wastes. For this coconut water is best as it rehydrates your body than regular water does. You should have a large glass of coconut water during a hangover which will instantly relieves your discomfort and also helps in curing the nausea. Removing out the toxins which are present in your liver and even in kidneys, coconut water is truly the best drink when it comes in detoxifying your body off the radicals and waste products. So remember after you get back from a heavy wining and dining. Coconut water contains anti-microbial powerhouse called lauric acid that helps protect against skin infections. It also contains proteins called cytokines that is responsible for encouraging cell growth and cell activation. They regulate signals in response to inflammation caused by acne and also have an anti-aging effect on the skin. What happens when we Eat Fast Foods on Daily Basis? 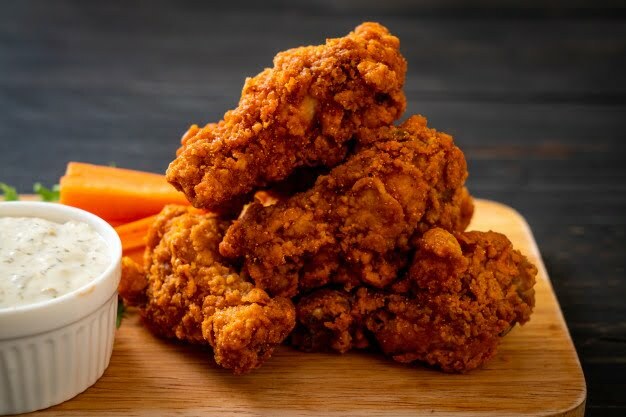 The young generation of the 21st century loves to eat fast food even their parents also love to eat fast food or say junk food because they are too much tastier than healthy foods. Yes, if you are a foodie and love to eat fast food it’s good to eat some fast foods in your meal like burgers, fries, noodles, pizzas, etc. Fast food is finger licking and mouthwatering and any person can attract them because they instantly satisfy your hunger and also it’s tastes awesome. There is a question arises these fast food are healthy? 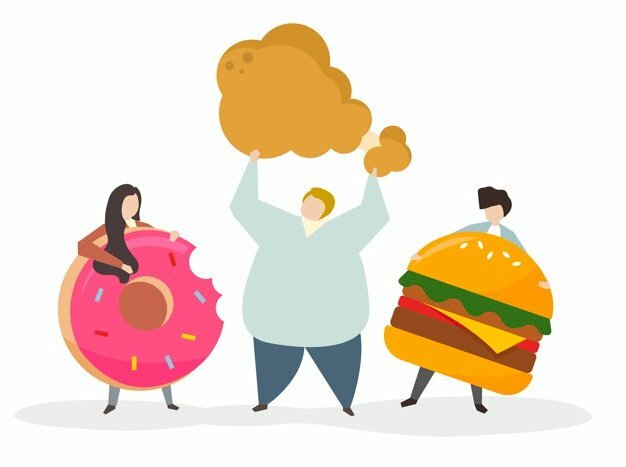 All the fast foods are very high in carbohydrates, added sugar, unhealthy fat and sodium these things are available in the fast foods and when we eat we add these things to our body. Fast foods are highly rich in calories and lesser in nutrients they aren’t able to fulfill our bodily requirements that need to grow. WHAT HAPPENS WHEN WE EAT FAST FOOD ON DAILY BASIS? Fast food is loaded with high levels of saturated fats, transfer fats, sodium, and more amount of calories than people should have to consume in a meal. A 2008 Harvard review of 16 studies reported by PubMed concluded that fast food consumption may be worsening America’s obesity epidemic. 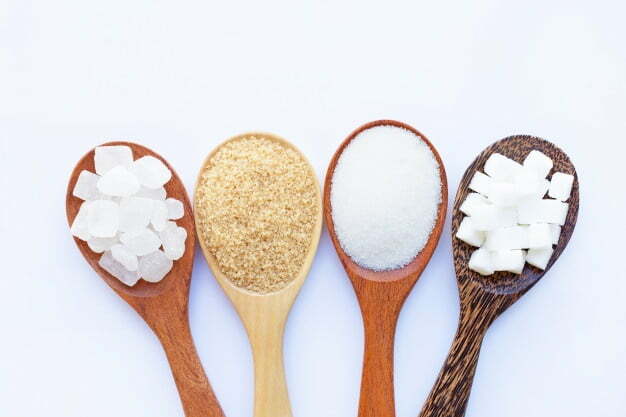 Even sweet food and soft drinks are also loaded high amount of sugar. The excessive amounts of sodium in fast food can lead to elevated blood pressure. High blood pressure is a risk factor for heart disease and stroke. A high diet of saturated fat and transfer fats also maximizes the risk of these kinds of diseases by blocking the arteries. The risk of stroke may be related to the number of fast food establishments in a neighborhood, according to a study published in the “Annals of Neurology” in August 2009. Fast foods like bacon burgers, some fried foods and milkshakes can be high in saturated fats. 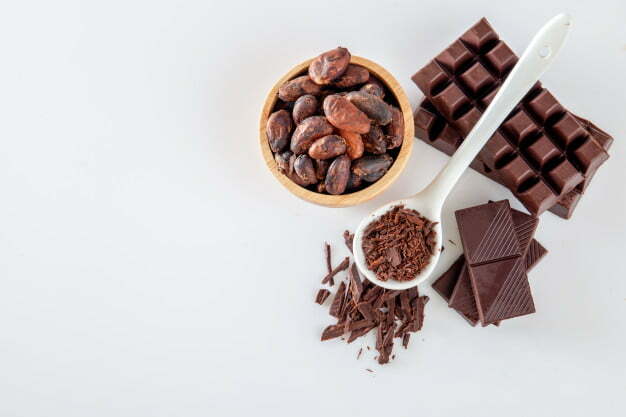 “It’s been long established that saturated fats can negatively impact the heart, but there’s also research that suggests high saturated fat intake may negatively impact brain function and memory,” says Marisa Moore, MBA, RDN, LD. She adds that higher intakes of saturated fatty acids may impair memory speed and flexibility and prospective memory. If you take soda frequently, this can leads to poor oral health. Drinking high amount of soda can increase the content of acid in your mouth, which can cause tooth decay and even cavities. Some of the fast food desserts, like ice creams and chocolates, can also cause tooth decay. Many of the fast foods are served and derived from many animal products, are also deep fried and served with cheese and fatty dipping sauces. “The higher amount of fat in the fast food can increase the cholesterol levels, which can further cause atherosclerosis. That occurs when plaque builds up in the arteries and prevents the flow of blood to the heart and organs.What’s more, fast food can lower your good (LDL) cholesterol, by threatening your heart and health. It has been mentioned that fast food is loaded with high amount of sodium. A Big Mac burger is loaded with 970 mg of sodium, and its one-third is the daily limit. If you are taking a higher amount of sodium then it can make your bones weak, and further you can have chances of osteoporosis. We can’t say totally neglect fast food but only to limit yourself. Eating fast food once or twice a week is fine but totally depends upon fast food can deteriorate your health. How billionaires keep themselves healthy ? Billionaires are the ones who are most popular and the richest person on this planet but there’s a question arises that how they maintain themselves and there healthy with working all the day and handling soo much workload. People are always curious to know how the richest persons keep them healthy so that they also can follow them to keep themselves fit and healthy. 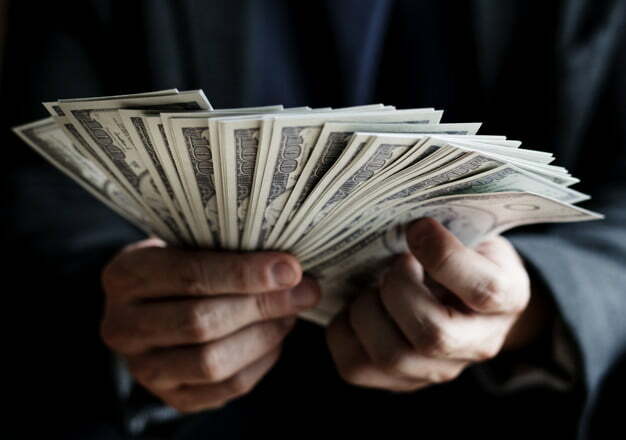 It is sure that money is not sufficient in buying happiness, but a few billionaires have proved it, it can be possible with your overall health and a perfect body. From nutritionists person to the trainers and many more, the richest and famous personalities can buy anything they require or desires when it comes to their health and lifestyle. There are many rich persons who promote fitness but also make efforts to make themselves healthy and fit.They also do gym, yoga, running, trekking, cycling, aerobics, hire personal trainers and also follow healthy diets. They are also totally devoted towards fitness and health. HOW BILLIONAIRES KEEP THEMSELVES HEALTHY? Bezos believes in getting enough in drowse. He wakes up in each and every morning naturally, without the help of an alarm clock daily. The billionaire and the global health lawyer must take care of their own health with a jog on the treadmill inside his 66,000 sq. ft. home. Since he possesses an endless knowledge, as he always watches courses by the Teaching Company while doing his morning jogging. He also loves to play the game of tennis. And, when it’s the bedtime, Bill Gates makes sure that he must sleep early to get seven hours sleep. The co-founder of the Microsoft company, Bill Gates always starts his day by exercising for both body and mind. Getting up from the bed, Gates hits the gym where he does cardio on the treadmill for an hour. Besides these, he frequently watches instructional videos before and during workout sessions. Former Apple chief, Steve Jobs would do the simplest morning ritual to keep himself boosted.Waking up from his bed, Jobs would stand in front of the mirror, look at himself and ask, “If today was the last day of my life, would I be happy with what I’m about to do today?” When he found the answer to be no, he knew it’s time to make some changes.During an interview in 1999, Jobs told a reporter that he is very much a morning person. He wakes up at 6:00 am every day and is operating at the highest efficiency levels by 6:15 am. Does Mark Zuckerberg pump as much iron as The Terminator? Well, no, but he does apparently work out at least three times a week.Earlier today, Zuckerberg held a Q&A session where he answered a bunch of questions people left on his Facebook page and Arnold Schwarzenegger had a relevant question. Does both cardio and weightlifting for circuit workout routines. I always take high protein, high fiber, and low-carb breakfast cookies every day of the bakery which he invested as he loves to eat those cookies very much. The Dallas Mavericks owner also plays basketball for cardio work.